Join the Weston & Sampson Team! Check us out at these upcoming career fairs. Career Culture at Weston & Sampson- At Weston & Sampson we're creating community through innovation. 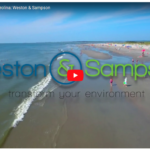 CHECK OUT THIS VIDEO and come transform your environment with an engineering career at Weston & Sampson. 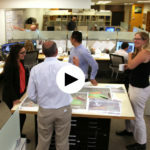 People and Projects Video- At Weston & Sampson we've got great people and projects. CHECK OUT THIS VIDEO showing how we're transforming the environment, and having fun doing it.